Medicine is evolving. The lack of sustainability associated with resuscitation is driving a demand for healthcare that leverages technology to assist in communication, compliance and curation of lifestyle options to prevent and reverse chronic disease. In my walk through the woods long ago, I chose the road less travelled. At first it was bumpy, over-grown and scarcely populated. People who noticed my path, smiled and whispered to one another -- invariably they felt my choice was ill-informed. The rest of the world was building a super-highway, straight through the forest; clearly that was the faster and more innovative form of transportation. Alejandro Junger wrote a book called Clean Gut. In it, he described the skill of his childhood gardener. "He never worried about the leaves" Junger explained, "my gardener was always concerned about the roots." When you address the roots, you needn't be painting the leaves green and taping them back on for effect. The delivery of medicine, in its current iteration needs to take notice. "Healthcare," north and south of the border, has hit its breaking point. We have advanced the capacity to rescue, resuscitate and release drowning citizens so that they can continue about their lives. We pride ourselves on the precision with which we can dilate vessels in the heart, replace parts of the knee and suppress the symptoms of chronic acid reflux. We can pop a pill to manage the pain of divorce and repurpose cholesterol medications to control the increasing challenge of children with hypertension and high cholesterol. This is not sophisticated healthcare; this is a system of disease management that every morsel of evidence has demonstrated to be utterly unsustainable. Our obsession with proving the myopic nuances of medicine has left us with a system that has turned it's back on the insurmountable literature suggesting that the current paradigm of disease-care is not working. This is not to suggest that research is not vital to the forward momentum of medicine, rather, our preoccupation with treatment at the expense of prevention is an astounding testament to our collective predilection for attending the to the leaves at the expense of the roots. My walk in the woods has not been easy. I frequently look at the superhighway with great envy. My discoveries however have been life altering. Up-stream and around the bend, away from the site of the downing citizens, myself and many others have made an important observation. Not only is the water calmer, but we are able to see how people have come to fall into the river in the first place. Our role is not to resuscitate necessarily, but to educate people about how to live and navigate close to the stream without falling victim to it's current. Medicine is evolving. 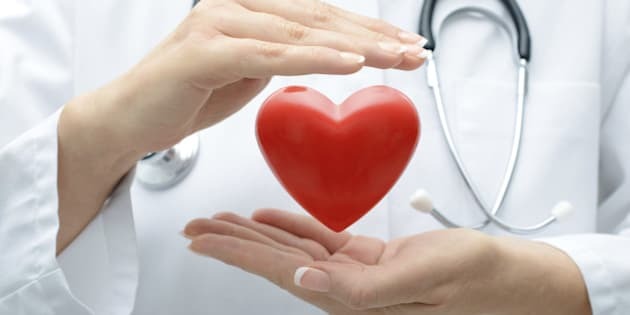 The lack of sustainability associated with resuscitation is driving a demand for healthcare that leverages technology to assist in communication, compliance and curation of lifestyle options to prevent and reverse chronic disease. Food and movement are poised to become as vital a prescription to the evolved system as beta-blockers and proton pump inhibitors are today. This evolving model does not focus on the narrow window afforded through sub-specialization, but views the whole body as a system that functions intelligently and in partnership with our environment. Mapping the human genome has enabled us to understand that our health and our predisposition to disease can be turned on and off, in many cases by the choices we make on a daily basis. Chronic disease is considered by the World Economic Forum to be one of the most significant threat to global economic productivity. Collaboration, conversation, technology and lifestyle medicine have the power to prevent and reverse some of the most common chronic diseases we pay for collectively as a society. The Evolution of Medicine, Functional Medicine if you will, is not about curing disease through procedures and drugs. It is about understanding our health and bodies as dynamic systems that can be altered by the choices we are empowered to make. This new medicine will shift the focus from procedures to patients, reserving the limited healthcare resources for research and resuscitation of the most seriously ill.
Next week, some of the brightest, most progressive minds in medicine will be presenting at the free online summit, the Evolution of Medicine. It is an exciting glimpse into the potential for a healthcare system defined by patient-centric approaches that are poised to put the power of healthcare back into the hands of those paying for it; you and me. I believe that when people have their health, they have the capacity to change their lives and the lives of those around them. I can't wait to see the potential of 'up-stream' medicine to lessen the burden of waitlists and procedural costs, not because of better management, but because we will no longer need them in the first place. Are you ready to see where medicine has the potential go?